Irene “I-SHEA” Shaikly is an eclectic ARTist (performance and teaching artist), a Momma, an Advocate for social systemic change, a Humanitarian sharing space on this plane. Irene “I-SHEA” Shaikly has carved her way into various musical frames integrating her multicultural background in her music, style, and presentation. 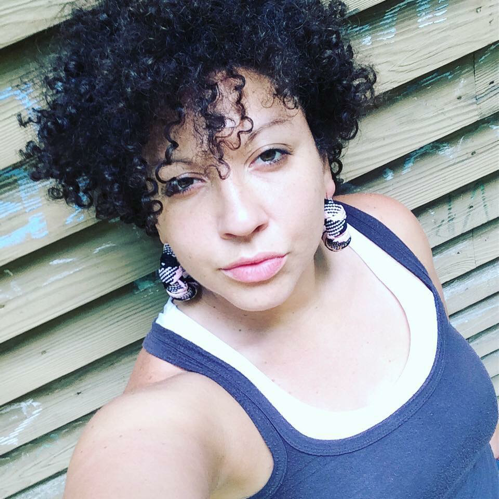 I-SHEA, who calls herself “The Original Jewminican,” (a Dominican and Jewish woman with an Arabic last name) is a drummer/percussionist, singer/songwriter, dancer, theater, and teaching artist originally from Bronx, NY. Coming from classical arabic records, and being the merengue, boleros, salsa, rumba, and 80’s hip hop kid, I-SHEA absorbed her World while creating her own sound as a soulful hip hop/reggae/latin/World Music ARTist. She is the founder of LA FEMME EXPRESSION, an Original Jewminican Productions – bringing women/femme performance art on the platform. Building connections and community through performance art, education, and organizing, her mission is to spread the movement of universal love and truth, to continue to inspire and motivate individuals to seek their highest authentic selves through storytelling, music, movement/dance, theater, and poetry. Irene “I-SHEA” Shaikly has an undergraduate degree in Social Services and a graduate degree in Elementary Education. She has worked with children, youth, and women around the East Coast, Ecuador, and the Dominican Republic. As an advocate for social justice in education, femme/women and community empowerment, Ms. Shaikly is dedicated to this work because integrative arts is an umbrella that holds space for human expression and communication of the heart, the mind, and soul. She is currently a Teaching Artist of Enchanted Circle Theater and Survivor Theatre Project. You can find her playing with local valley bands/groups: REBIRTH, PUERTOMINICANA, GOKH BI SYSTEM, and CADENCE.